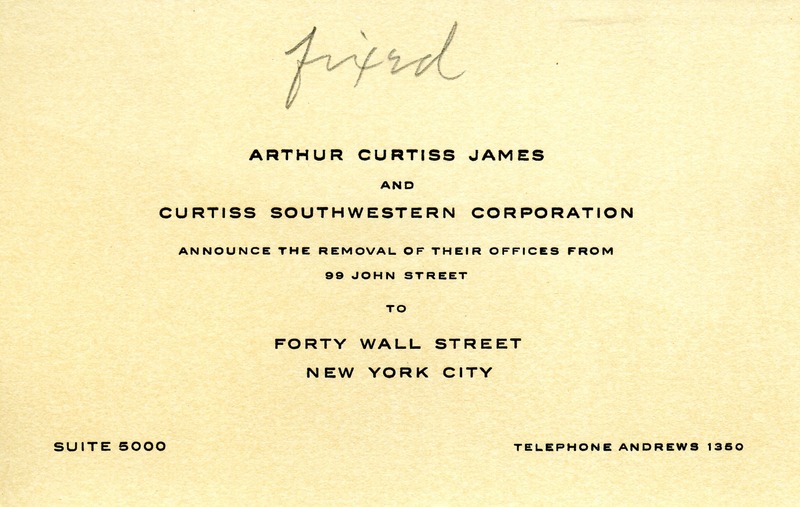 Change of address card for Arthur Curtiss James and Curtiss Southwestern Corporation. “Change of address card for Arthur Curtiss James.” Martha Berry Digital Archive. Eds. Schlitz, Stephanie A., Sherre Harrington, et al. Mount Berry: Berry College, 2013. accessed April 21, 2019, https://mbda.berry.edu/items/show/12982.